Bill Kessler owns and manages Kessler Farms and is co-owner with his wife, Donna, of Kessler Pork LLC located in Missouri. Kessler Farms is a family owned farrow-to-finish operation. Kessler Pork LLC is a 5,000 head contract grower with JBS. The two operations market 16,000 hogs annually. In addition to raising pigs, Kessler also grows corn, soybeans and wheat on his farm near Mexico. 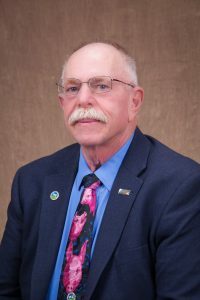 Kessler has been active in the Missouri Pork Producers Association for 42 years and served as its chairman in 2008 and 2009. He has been active on the National Pork Producers Council (NPPC) and served on its board from 2012-2017. Kessler has served as chairperson of NPPC’s SIP committee for the past three years. He has also served as chairperson of the Checkoff’s Producers Services Committee has given over 140 Operation Main Street speeches. In my opinion, the most critical issue regarding the pork industry is the need to protect the industry from foreign animal diseases. This includes the importance of the lack of vaccines available if an outbreak should occur. Having a vaccine bank off the shores of the United States, yet readily available within near proximity, is essential. What do you think should be the main goal of the Checkoff and the National Pork Board? Pork checkoff has four goals: promotion, research, producer education and consumer education. The main goal should be that of promotion. Promotion of the product encompasses the other aspects. It drives the desire to perform research to produce a higher-quality product, which in turn will reach the consumer. The pork industry has been good to me, and I want to be able to continue to give back to it. It has been an honor to serve the industry at the national level through NPPC in the past, and I want to continue the work.